Oven Roasted Chicken Thighs are juicy, tender and absolutely delicious! 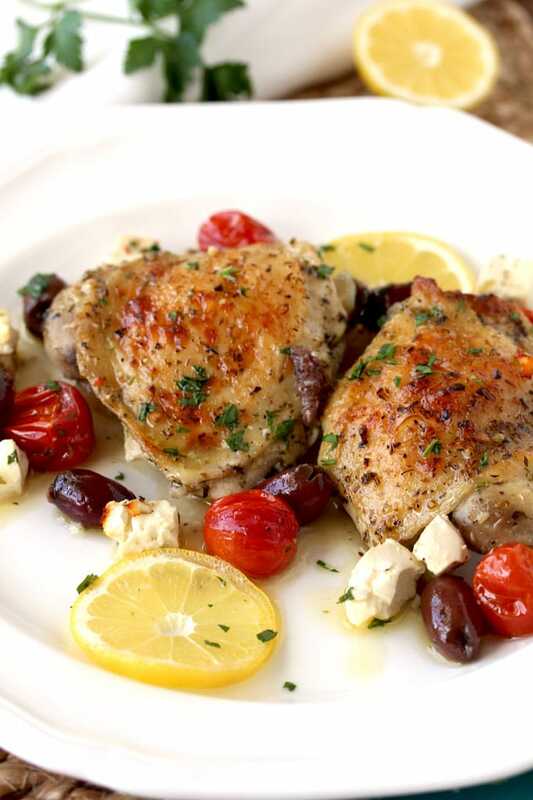 Chicken thighs are tossed in a simple lemon marinade and oven baked with tomatoes, Kalamata olives and Feta cheese. 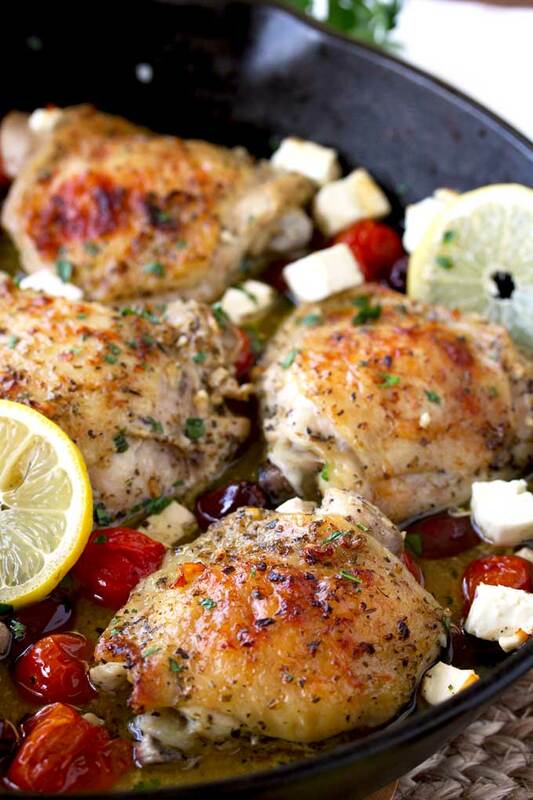 This easy one pan baked chicken recipe is easy and always a family favorite! This post first appeared over at The Salty Marshmallow where I am a contributor. Make sure to check out some of my other chicken thigh recipes like Roasted Chicken Thighs with Lemon and Herb and Creamy Chicken and Mushrooms. 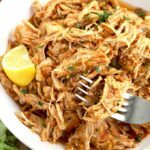 Chicken thighs are so flavorful and one of the most succulent and tender parts of the chicken. Chicken thighs are hard to over cook which is always a plus! 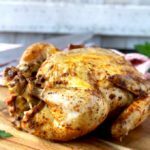 This baked chicken recipe starts with bone-in chicken thighs that are tossed in a simple 5-ingredient marinade. You can marinate the chicken for 15 minutes or up to 24 hours. I like to place the chicken thighs in a zip top bag and add the tasty lemon marinade ingredients into the bag for easy clean up. After marinating, I place the chicken skin side up and oven roast it. Before the chicken thighs are completely cooked through, I add the tomatoes, olives and Feta cheese and bake until the oven roasted chicken thighs are tender and the skin is golden brown. The tomatoes blister to juicy perfection and the feta cheese gets warm, creamy and soft. Definitely pure deliciousness!!! 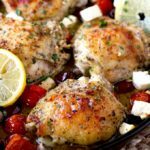 Greek Lemon Oven Roasted Chicken Thighs is one of those chicken recipes I make over and over again. 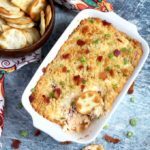 This baked chicken recipe is such a wonderful dinner option during busy days. I bake skin on, bone in chicken thighs, uncovered at 375 degrees Fahrenheit for about 35 – 40 minutes. As per safety guidelines, bone in chicken thighs should reach an internal temperature of 165 degrees Fahrenheit. Place the chicken thighs in a bowl or a large zip top bag. Make the marinade by tossing olive oil, lemon juice, garlic, oregano, plain yogurt and salt and pepper. The yogurt, although it is a very small quantity – with the rest of the ingredients produces the most delicious pan sauce. 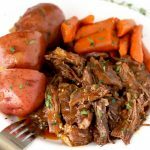 Trust me you will want to drink the sauce with a spoon! Marinate the chicken at room temperature for 15 minutes or overnight in the refrigerator. Place the chicken thighs skin side up on a baking dish or on a cast iron skillet. Pour the marinade over the chicken. Bake at 375 degrees for 20 minutes. 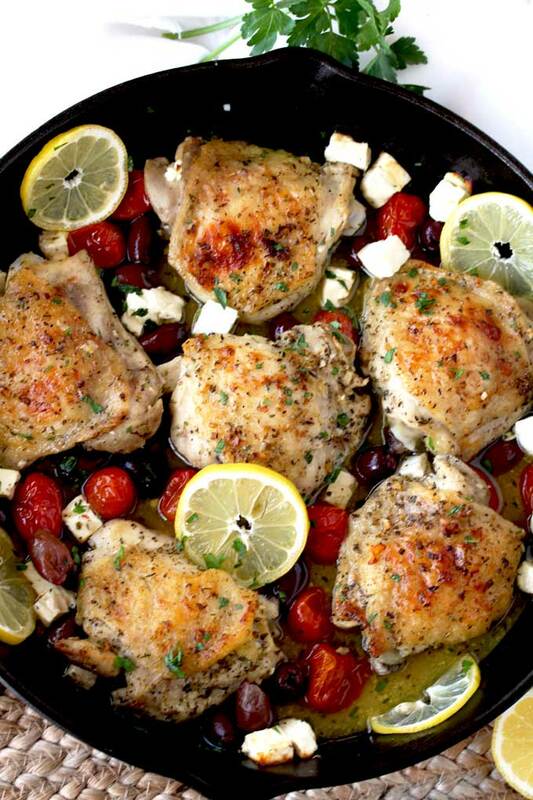 Remove the baking dish from the oven and top the chicken with the Kalamata olives, Feta cheese and tomatoes. Return to the oven and bake for an additional 15 to 20 minutes or until the chicken is cooked through. Remove from the oven and enjoy! 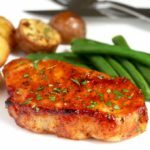 You can use boneless chicken thighs for this roasted chicken thigh recipe. Bake the chicken for about 30 to 35 minutes or until the internal temperature reaches 165 degrees. 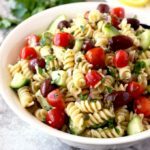 You can use any small tomato variety like cherry tomatoes. Head to West Via Midwest and take a look at Michele’s Greek Style Lamb Chop Recipe. They are divine! 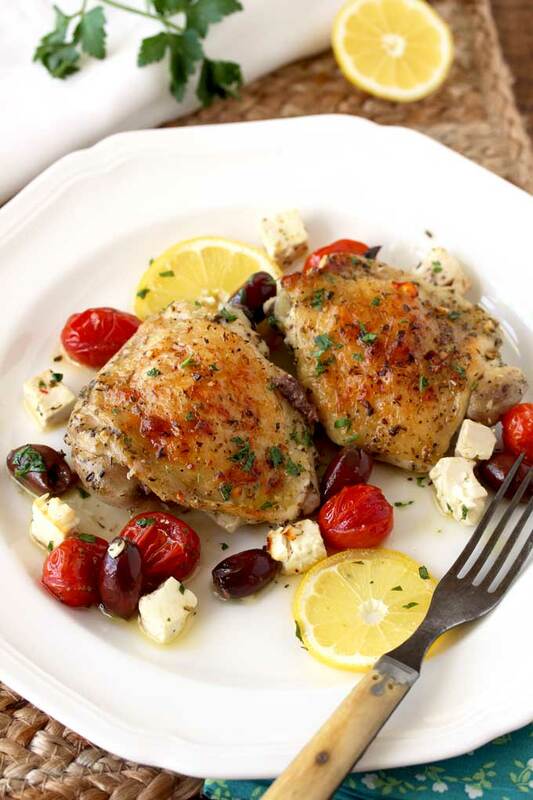 WANT TO TRY THESE GREEK LEMON OVEN ROASTED CHICKEN THIGHS? 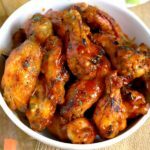 To make the marinade, place the lemon juice, olive oil, garlic, yogurt, oregano, 1 teaspoon of salt and ground black pepper in a zip-top bag or a non-reactive bowl. Lightly season the chicken thighs with salt. Place the chicken into the marinade and mix to combine making sure the chicken is evenly coated. Marinate for 15 minutes or up to 24 hours. Preheat the oven to 375 degrees Fahrenheit. Place the chicken, skin side up in a cast iron skillet or baking dish. Pour the marinade over the chicken. Bake for 20 minutes. Remove the skillet/baking dish from the oven and add the Feta cheese, tomatoes and Kalamata olives on top and in between the chicken pieces. Return to the oven and bake for 15 to 20 minutes or until the chicken is cooked through and golden brown. Remove from the oven, garnish with lemon slices (optional) and serve. 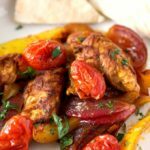 This is calling my name, I love all the olives, tomatoes and lemon you have in with this chicken!! The yogurt is such a cool trick to learn! Thank you. It’s so tasty!!! 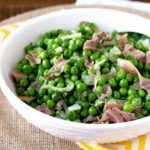 I love this recipe and the video, thanks to it I made this dish with more confidence and we really love it. 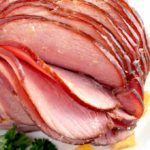 All your recipes are easy to follow and really work Kathy, if you have a book I’ll be the first one buying it for me and family friends. My husband is Greek and I have made his mothers oven baked chicken thighs a thousand times. 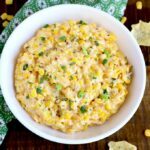 I tried this recipe today and he absolutely loved it. I think thighs are so underrated. 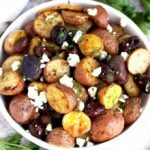 These came out with a beautiful crispy skin but were tender enough to cut with a fork (I only marinated for 15 minutes), the tomatoes and olives made it taste truly Greek and the feta was just the icing on the cake. Really a GREAT recipe. Thank you for sharing. Thank you ! So glad you both liked it!